The wood is an ancient one, a relic of the vast Holocene forest that once covered all of Ireland but which now has almost completely gone. Huge oaks half a millennium old; tangled, many-limbed hawthorns; red-barked horse chestnuts. “i don’t like it,” the man behind the man with the gun says. “Just put up with it, my feet are getting wet too,” the man with the gun replies. It’s 1988 and Belfast is besieged by troubles. So on one is surprised when a drug dealer is murdered, and once the initial interest has passed, no one would be surprised if it was never solved. But Detective Inspector Sean Duffy isn’t one to give up. There is something about this case that means he just can’t let it go – even when he finds his career, his marriage and, finally, his life threatened. Police at the Station and They Don’t Look Friendly is the seventh title featuring Sean Duffy, a stubborn detective who works hard, but also drinks before lunchtime, smokes at every opportunity, and isn’t afraid to break the rules in the quest for right. The setting of the stories – in a Belfast in the midst of ‘the troubles‘ – is both interesting and increases the drama, with physical threat an ever-present reality for a policeman, especially a Catholic one such as Duffy. Acton packed, with a touch of humour. Even those who didn’t darken the door of the church from one Christmas to the next could tell there would be more mourners than seats. A bottleneck of black and grey was already forming at the entrance as Aaron Falk drove up, trailing a cloud of dust and cracked leaves. Neighbours, determined but trying not to appear so, jostled each other for the advantage as the scrum trickled through the doors. Across the road the media circled. Aaron Falk is reluctant to head to Kiewarra, the town of his childhood. but his childhood friend, Luke Hadler, is dead, and he appears to have killed his wife and son, too, in a horrible murder suicide. Luke’s father has asked Aaron to come, and he feels it’s the least he can do. Aaron is a policeman, but murder isn’t his field – he’s a Federal Police investigator, specializing in corporate crime. Sso when he’s asked to help look into Luke’s death, he’s reluctant. Aaron’s own past in the town is murky. As a teenager he was implicated in the death of a girl and, although he knows he was innocent, it seems the townspeople are less prepared to let the matter rest. His presence in the town and determination to get to the bottom of Luke’s death puts his own safety at risk. The Dry is an absorbing crime novel, with the dual mysteries – the apparent murder-suicide now, and the older death of a teenage girl – providing plenty for both the reader and the characters to work through. the character of Luke is well-drawn, with his past and present selves pleasingly developed. The town, too, is populated with an interesting cast, and the mysteries it hosts will keep readers guessing. Mum had been pushing me to try for the only job that required fewer skills than crew member at McDonald’s: care assistant at a place called Dear Green Care Home. She knew someone who knew someone, she said, and gave me a number to call. All I had to be was human, ready to start immediately, and in Clydebank for an interview at 3.30. Catherine is 23, and only gets a job to get her mother off her case – and so that she can save for a trip to Costa Rica. With debts mounting and another of her mother’s family meetings looming, Catherine figures working a local aged care facility can’t be too bad. But something strange is going on at Dear Green. One of the residents, eighty-two year old Rose, is convinced that terrible things happen in Room 7, and that she is in danger. The problem is, Rose has dementia, and keeps regressing to a terrible event when she was ten years old, so perhaps her worries for the present are unreliable. As Catherine gets to know and care for Rose, she must figure out what is really going on. Apart from her job, Catherine has other issues to sort through. Is her biggest concern really getting a good selfie for Facebook, and enough likes on her posts? What about her mother’s strange behaviour and her numerous brief relationships? The Exit is a stunning psychological thriller which deals with issues of family, ageing, dementia, and more as it moves through shocking twists and turns towards a dramatic conclusion. Told from the dual points of view of Catherine and Rose, the story gives insight into the mind of a seemingly self-absorbed young person and an older person who is losing her memory but who has previously been independent and successful, a pair who are very different but who the reader is able to get to know, and like, well. The Exit is a compelling read. Available from good bookstores and online. When Cato Kwong is called in to a brutal murder scene, he quickly realises that this investigation is going to be very personal. The victims are his old friend Francis Tan and his family. the sole survivor is Tan’s eldest son Matthew, who has moved out of home, and is the first suspect. The investigation takes Cato places he never expected to go – including to Shanghai, where he learns about the country of his forbears = both its highs and its lows. Meanwhile, his boss, DI Hutchens, deals with health issues and ghosts from his own past, and Lara Sumich too has plenty of distractions of her own, even if they are of a very different kind. Bad Seed is the third title featuring Cato (Phillip) Kwong, a Fremantle based detective with a strong sense of justice and a determination to uncover the truth. Each title stands alone, though Cato is a character you want to read more about, so going back and reading the other two is no hardship. I am fourty-four years old. A happily married woman. I shouldn’t be with this virtual stranger, letting him run his hand down and then up my thigh. You see, in my head this is all about the past. It’s about Angie, about Rob and about Mick, too. But what if I’m wrong? What if it’s just about me? About my life now? What then? In 1978 fourteen year old Angie goes missing, while staying with her cousins in Sydney. When she’s found, dead, police investigate and, when a second girl is murdered weeks later, it seems there’s a serial killer in action. Thirty years later a journalist turns up asking to interview the surviving members of Angie’s family, to find out how the murder impacted on the family. For Jane, who was Angie’s younger cousin, this comes at a time when her life is changing. Confronting the vents of the past is initially uncomfortable, until Jane realises it is liberating to open up and to let go. But facing the events surrounding Angie’s death may force her to question everything she thought she believed. 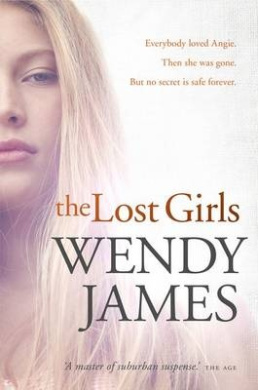 The Lost Girls is a powerful exploration of confronting the past, the present and the truth. As the mystery of Angie’s death slowly unravels, the people closest to her are pushed to grow and adapt. While this isn’t always a comfortable experience, for the reader it is intriguing. Thrilling, thought provoking and satisfying. I search for air, gasp. Close up his features are blurred, but I can still make out his copper-coloured eyes, the downward curve of his lips. It’s not because he’s on top of me that the words won’t come. It’s because of who he is. Leaning down onto me, stopping my fight, is Damon Hilary. Sports prefect. The most beautiful boy in the school. Beautiful Ashlee Parker is dead, and Emily’s dad has pleaded guilty to her manslaughter. Emily, though, is sure her father wouldn’t be capable of such a crime, in spite of his troubled state. She seems to be the only person who believes in her father’s innocence. Damon is mourning the loss of his girlfriend, too soon after also losing his father. He is sure that Emily’s dad is guilty, even though Damon was the last person to see her alive. If only his memories of that night weren’t so scrambled, blurred by drugs and alcohol. He can’t tell the police about his own movements because he and his friends were playing a dangerous game in the woods. 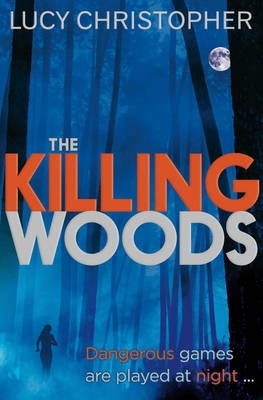 The Killing Woods is a compelling, frightening story for teen readers. A wonderful blend of mystery and thriller set in and around a dark woods, the story draws the reader in trying to piece together exactly what happened and why. Whilst set in a realistic setting, the issues and events are chilling, though deftly handled. Not a comfortable read but an absorbing one. Available from good bookstores or online. Cato stepped back with the rest as the shovels came ut and two men began to dig. A stench rose. The body was crawling with maggots and other insects. Flies descended on the uncovered feast. It was a metre and a half long and it had four legs. Cato Kwong isn’t convinced that taking a convicted criminal out on the search for a missing girl is a good idea, especially when the victim’s mother is also present. But when the search uncovers nothing more than a decomposing pig carcass, he’s sure that the killer is leading them a wild goose chase. As he works to find out where Bree Petkovic is really buried, another murder happens on his patch. This time it’s a man with his throat slashed in a night club toilet. With organised crime gangs implicated, suspect cops joining in on the investigation, and a growing number of injuries and killings happening, Cato’s desire for some quiet summer nights seems to be slipping away. Getting Warmer is the second detective story featuring Kato Kwong, a cop who likes to do things mostly by the book, but is also determined to get results and set things to right, goals which sometimes don’t mesh. Newly returned from exile down south, he is now based in Fremantle, and the setting is highlighted with a detail which will delight readers familiar with the port city even while the level and type of crime uncovered may surprise. With suspense, twists aplenty and intriguing character development, Getting Warmer will appeal to lovers of crime fiction, who will be keen to see more of Cato. “My God!” Kathy muttered under her breath, and moved forward towards the remains of Angela Hannaford. Kathy Kolla is delighted to finally be starting her dream job, working alongside DCI Brock in the Serious Crime Division at New Scotland Yard. Her first case, though, is a perplexing one. A young woman has been brutally slain, with no apparent motive and few clues. When Kathy finds a tenuous link yo a local amateur dramatic group, she follows it, finding herself drawn into their rank. But as the date of their next performance draws closer, finding the killer in time to stop another murder is difficult, with a complex web of secrets concealing the truth. All My Enemies is one of the earlier titles from the popular Brock and Kolla series, newly re-released in Australia. For those who have read later titles, this one provides some background insight into characters and relationships, whilst also presenting a gripping mystery. Like all the titles in the series, this one stands alone, but is likely to entice lovers of crime fiction to seek out others. I heard two sharp reports and then nothing except the buzz of an open connection. Cliff Hardy is back in business. Finally he has his PI licence back and is free to take on new clients. But new clients are slow to come – and then, when he finally gets one, the client gets himself murdered. Bobby Forrest seemed like a nice enough guy – so why was he being followed, and, more importantly, who wanted him dead? As Cliff investigates he finds links to his own past, and plenty pf dead ends. It’s going to take all of his skill to solve the case and keep himself out of trouble. Come to think of it, staying out of trouble is not something likely to happen where Cliff Hardy is involved. Comeback is the latest in the long-running Cliff Hardy series. Hardy is a little older and, sometimes, slower, but he still manages to get himself in and out of all kinds of scrapes, making friends and enemies equally well. Fans of Peter Corris’ work, won’t be disappointed with this latest installment, but it will also please new readers. This book can be purchased from good bookstores or online from Fishpond. Buying through this link supports Aussiereviews. On the one hand, the good people of Adelaide want it to be prosperous and successful as a modern twenty-first century city; on the other, they don’t want anything to change, and they certainly don’t want large influxes of outsiders discovering how wonderful the lifestyle is and coming to live here. After the contents of a disused bank vault in South Australia’s Snowtown were discovered and the ‘bodies in the barrels’ killings became public knowledge, Adelaide became the focus of much negative publicity, even being labelled by one British tabloid as ‘the murder capital of the world’. Susan Mitchell, born and raised in Adelaide but no longer resident there, returned to the city for the trial of the suspects, with the intention of writing a feature article. That article grew into this book. This is not just a book about the body in a barrel killings, or about its subsequent trial, although of course both topics are explored in depth. Mitchell is equally concerned with exploring Adelaide’s physical and social makeup and answering a question which troubles her – how did Adelaide come to be the scene of such crimes? Mitchell explores this question using a variety of text styles – a little fiction, quotes from court reports, interviews, personal recall and more, which makes the story very personal and also very readable. It also lessens the harsh impact of a story which is throughly chilling. All Things Bright and Beautiful is not a comfortable book to read – but it is gripping and very well written.